Adelaide author and reviewer Susan Mitchell recommends an eclectic range of new and recently published books for late Christmas gifts or holiday reading. Ferrante is my big discovery this year. Her quartet, the so-called “Neopolitan Novels” – the latest of which, The Story of the Lost Child, was published this month – knocked me for six. Book one, My Brilliant Friend, begins the exploration of the friendship of two girls growing up poor in the backstreets of Naples. I could not put it down. I devoured every line. It’s gritty, passionate, gutsy and breathtakingly honest. I read all four books tracing the girls’ friendship and lives – their loves, their hates, their marriages, their children – in three days. They were totally absorbing and addictive. Now I want to read them all over again and savour them slowly. In fact, I want to read everything she has written. If you, too, miss the presence of Kerry O’Brien and Paul Keating in your life, then this book will help to assuage your loneliness. O’Brien has known Keating for 40 years, and no one is more skilled at revealing what lies beneath the political persona. Keating will never write an autobiography, but this book based on O’Brien’s scalpel-like questioning will tell you everything you always wanted to know. The author is never afraid to ask the questions Keating would not ask himself. No stone is left unturned because O’Brien knows the inside stories as well as the political history. He cunningly peels back the layers that are hidden in this fascinating man. Together, they sing a classy duet of intellect, humour, imagination and creative jousting. Perhaps we only get two talents like theirs in one lifetime. If you loved The Corrections then you will also love Franzen’s latest modern epic of morals and manners. As weird and quirky as ever, he takes the reader on a wild ride through California and East Germany, where his crazy and totally original characters help us to explore his themes of good and bad parents, journalists and leakers, sexual rivalry, and the never-ending tentacles of the internet enslaving us all. It’s a crazy, zany world but it is definitely the one most of us inhabit in the 21st century. If it’s a thriller you are looking for, then you cannot go wrong with Robotham’s latest. It is an accurate title because my test for a good thriller is that sleeping is out of the question until you finish it. Robotham’s plots are never formulaic, his characters never cardboard cut-outs, his dialogue never cliched and his endings never predictable. From starting out as an anonymous ghost writer, he has become a master of the craft of crime writing. This is only the second novel of this assured Australian writer. It asks the questions: “Where is home?” and “Where do we really belong?”. It is a novel in the style of Virginia Woolf. The prose is uncluttered, evocative and poetic. The story of Charlotte and Henry has an underlying note of quiet melancholy and yet the power of the prose is a strong, emotional current which pulls us along to its final conclusion. It is quite simply a beautifully written charmer which fully deserves to be acclaimed as “one of the finest Australian novels of 2015”. 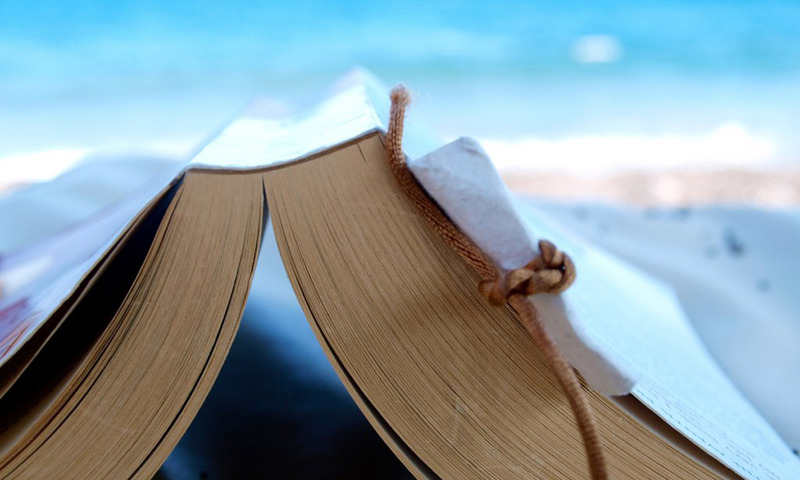 For more holiday reading ideas, check out these recommendation from Adelaide literary lovers, book experts and booksellers.